For many parts of the world, Independence Day is an annual celebration commemorating the fight for liberation and constitutional rights. From countries in Africa to Europe, all the way to the Caribbean, celebrating independence is, naturally, a popular national holiday observed in over 150 countries. St Kitts and Nevis is one of these nations, marking its independence today. On September 19th, 1983, the dual-island nation gained independence from the United Kingdom. 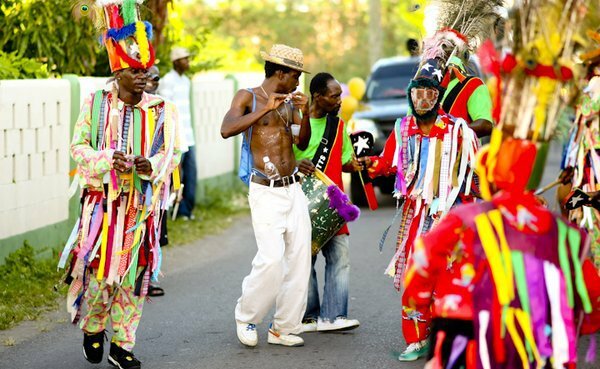 Ever since, St Kitts and Nevis made sure that each of its annual celebrations is one for the books. Debates, festivals and parades are only some of the events to take place on the islands. This year, the celebration bears the theme ‘Love, Service, Patriotism and Pride: Independence 35’, penned by early childhood educator Yvette Slack. With St Kitts and Nevis continuing to make its mark around the world as a popular tourist destination, global travellers are flocking to the islands in need for their yearly supply of sun, sea and sand. But other than being a Caribbean island with an abundance of beaches to relax on – what else makes these islands so interesting? 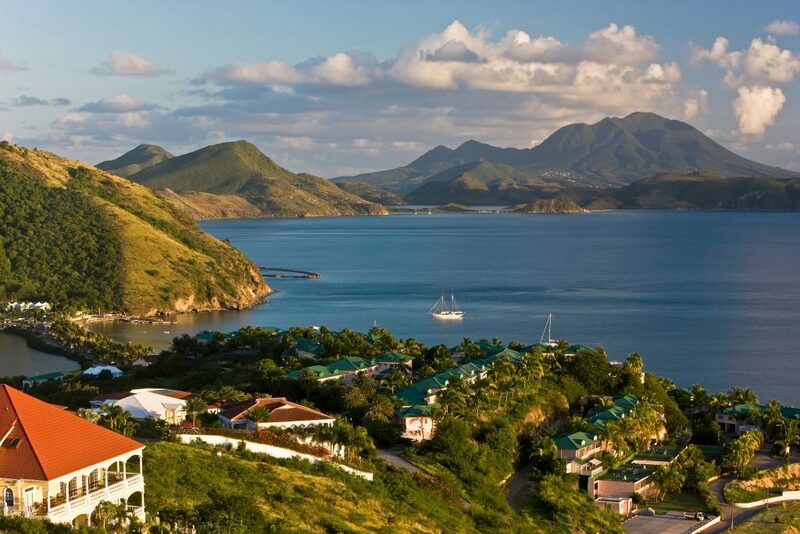 St Kitts and Nevis covers an area of only 104 square miles with a population of just over 55,000. However, as a small nation, the islands have a rich history that has endured the trials of time, colonisation and war. Before the twin-island nation was discovered by Christopher Columbus, the country was inhabited by the indigenous Kalinago people. 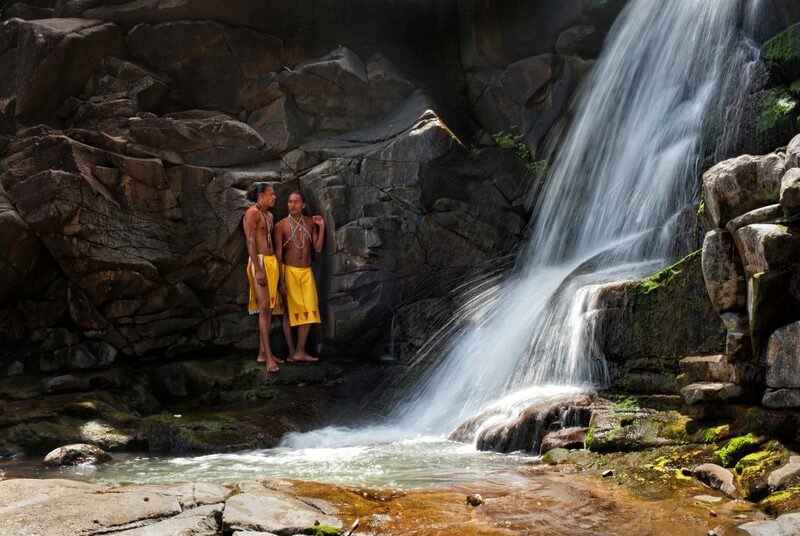 The Kalinago people referred to the St Kitts island by a different name – Liamuiga – which roughly translates to ‘fertile land’, whereas Nevis was named ‘Oualie’, meaning ‘land of beautiful waters’. Rumour has it that St Kitts received its current name by mistake due to a mapping error, with Columbus having named a nearby island by the Spanish name of San Cristobal (now known as the Saba island). Nonetheless, thorough records show that nowadays St Kitts has been mistakenly referred to as St Christopher island since the 17th century, so the name stuck after all. Later on, because, in English, Christopher is often shortened to Kit, that is how the name St Kitts came about. The islands were formed by volcanoes, all of which have remained dormant for the last 1800 years. Its land is covered with tropical rainforest and large mountains making for a scenic landscape spectacular to the eye. Mount Liamuiga, located in St Kitts, is known as the highest volcano on the islands. 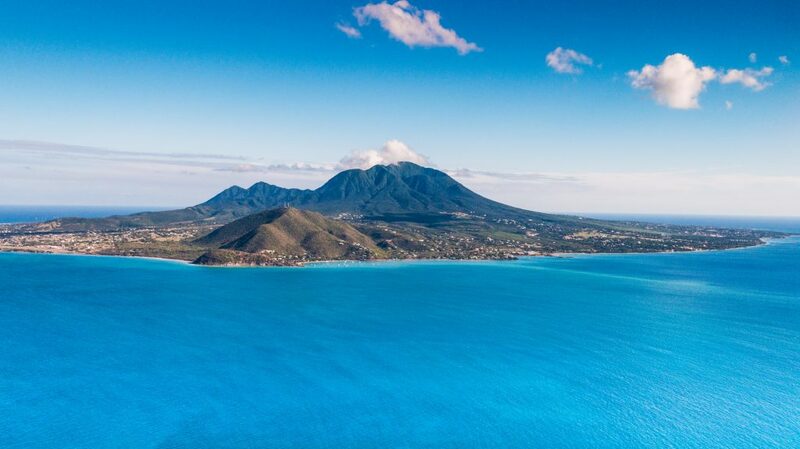 From its summit Liamuiga offers stunning views of the Caribbean Sea and neighbouring islands Nevis, Antigua and Saba. Like many other islands in the Caribbean, St Kitts and Nevis’ culture not only runs deep but is influenced by many countries. As a country divided by both British and French rule, many of its architecture replicates the colonies that had resided on the island during that time. In addition, as most of the population is of African descent, it is clear that a large part of its traditions are adopted from West African culture. One of these popular traditions is the yearly Carnival – otherwise known as Sugar Mas – which is heavily influenced by African and European customs. The Moko-Jumbies, or stilt walkers, who are key features of the Carnival, are rooted in West African mythology, while many dance forms, such as the waltz and the jig, are clearly European. Yet the origins of Carnival and its associated street party J’ouvert, have roots in another Caribbean island – Trinidad and Tobago. St Kitts and Nevis was once known for its sugar cane industry, a sector that had originally sustained the islands for 365 years. 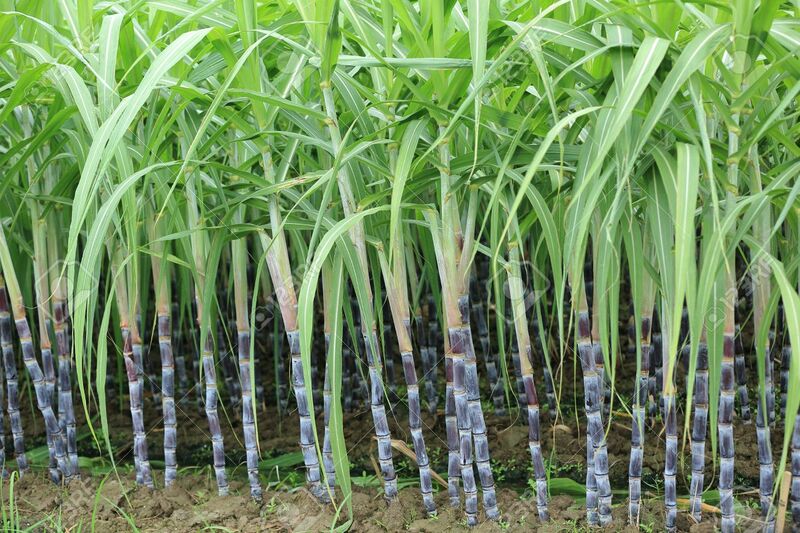 It was only in 2005 that the government decided to move away from sugar-cane production and begin focusing on revitalising the economy through tourism. The islands now play host to several high-end luxury hotels including the Marriott, Park Hyatt and the Four Seasons. This portfolio of hotels, combined with the recent announcement that the islands had surpassed 1 million cruise passengers, has solidified St Kitts and Nevis’ place in the highly competitive Caribbean tourism sector. St Kitts and Nevis’ Citizenship by Investment (CBI) Programme was introduced shortly after the nation gained independence in 1983. It was aimed at driving direct foreign investments towards the islands. The process requires an applicant to make an investment to the nation’s economy in exchange for its citizenship. If approved, they are then known as economic citizens with all the same rights as native ones, except for the right to vote. 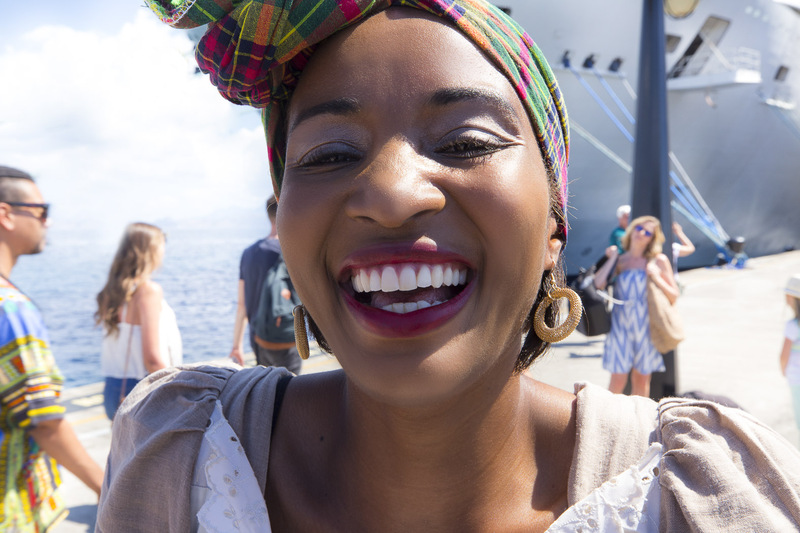 Currently, there are 13 nations offering active second citizenship programmes with St Kitts and Nevis’ referred to as the industry’s Platinum Standard. The last three decades have permitted the islands to use the CBI-generated funds to expand both its public and private sectors. 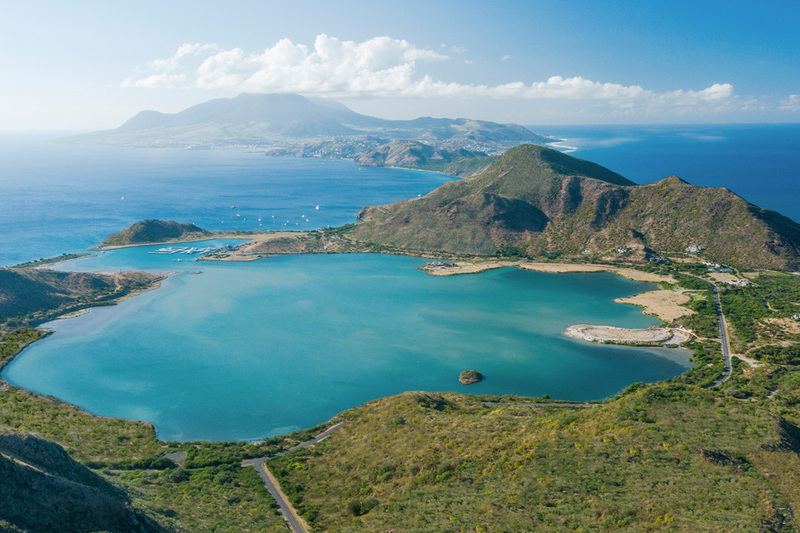 A culture that spans countries and time, a history etched into every corner of the islands and a wide selection of luxury hotels to escape to – it’s safe to say that St Kitts and Nevis has it all. Happy Independence Day to all Kittitians and Nevisians around the world, whether economic or native!